Last week we ran from Bang Brewing. It was a great night for a run; dry, still and cool. But, as always happens this time of year, we ran out of daylight. With Daylight Savings Time set to end in a couple of weeks it was bound to happen. It’s always just another unwelcome reminder of what’s to come. Do not fear though, we will be running (and beering) all winter! 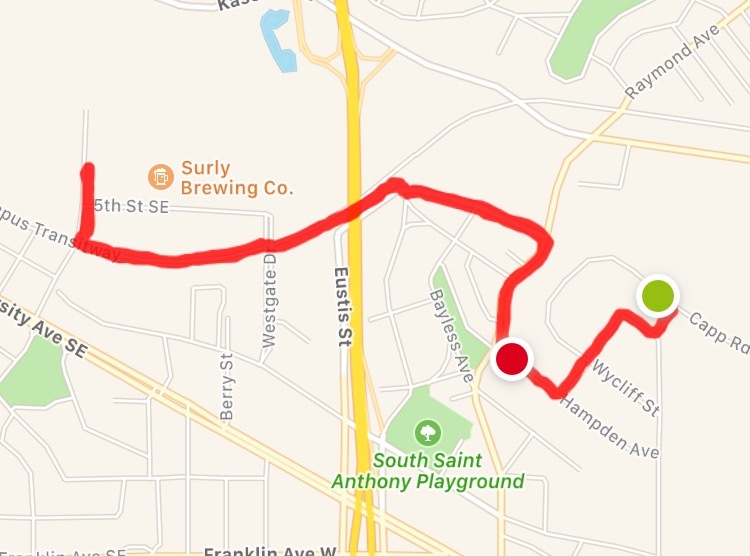 We found our latest run taking us west from Bang Brewing, eventually down to the U of M Transitway and over to Surly Brewing. We resisted the urge to stop for a beer and returned to Bang Brewing for refueling (snacks and libations). After a couple of beers a few of us went next door to see what Urban Growler was pouring. We had a good group at our last run. If you missed it, we encourage you to join us on our next run. November 3rd we will be meeting at New Bohemia in Golden Valley. We’ll depart promptly at 6:30. We hope to see you!